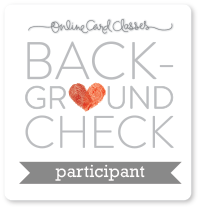 So the Online Card Class Background Check is almost over and I have finally managed to make a card for it! I have enjoyed all the videos and techniques used, but I have a house full of sick kids and hubby is away on business, so I’m pretty proud of getting one made! 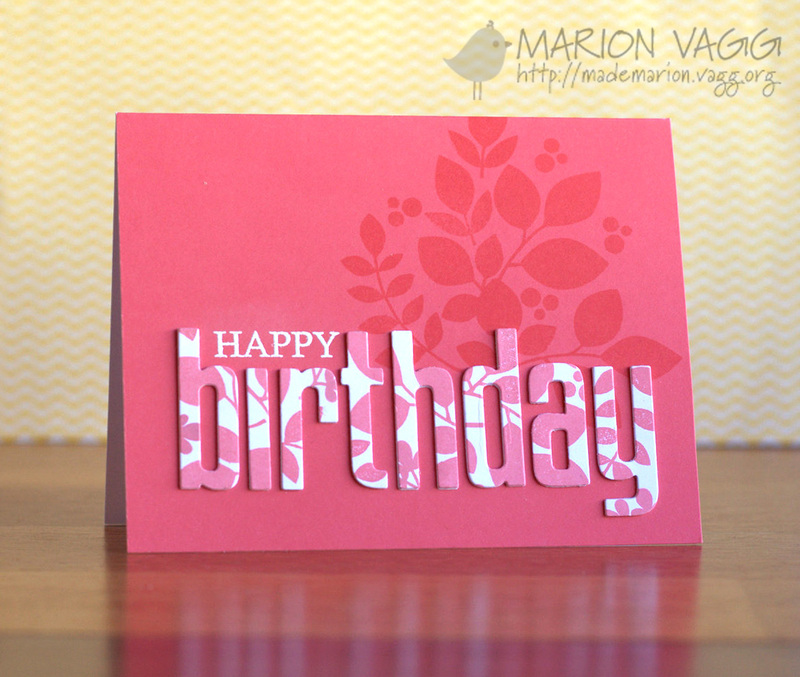 This card uses the inking blend technique that Laura Bassen showed on Day 1. I masked off the horizon with some Post-It tape and blended in some Salty Ocean Distress ink for the sky and Mowed Lawn for the grass. 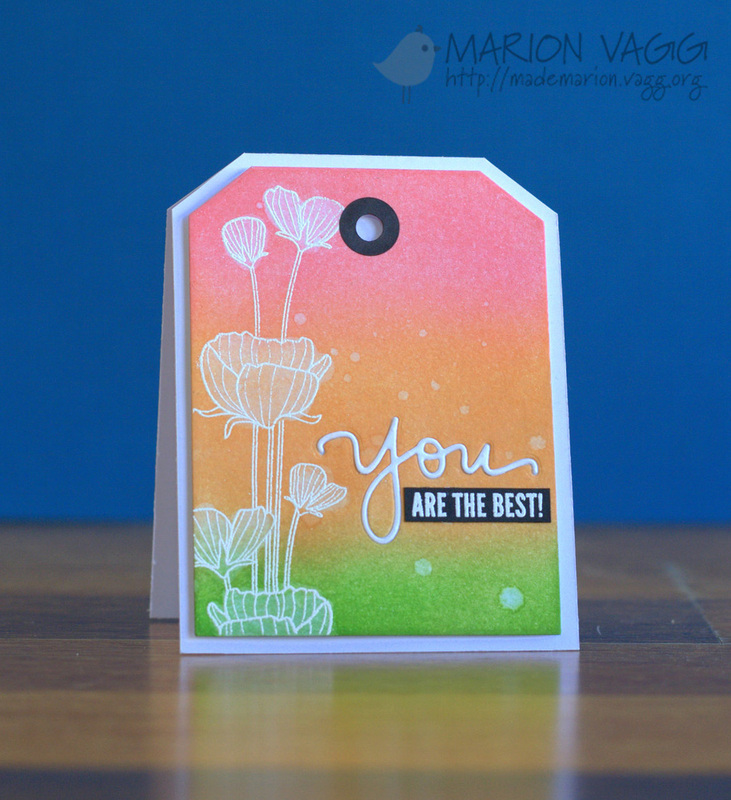 To add some interest, I sponged in some clouds (I created a stencil from card stock using a cloud die from Poppy Stamps). 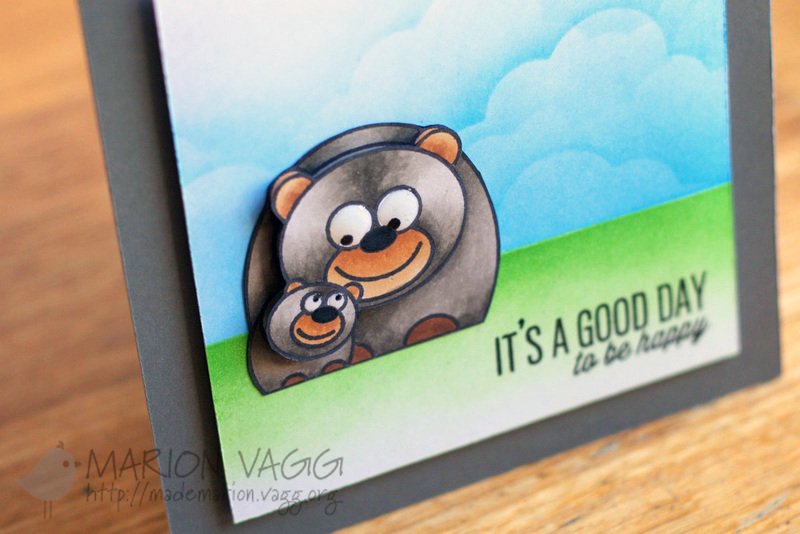 The bears are a Hero Arts stamp, coloured with Copics. 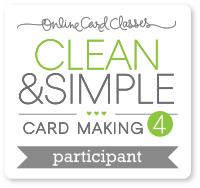 Well the Online Card Class Clean & Simple 4 is almost over, and I have only managed to make one card for it! 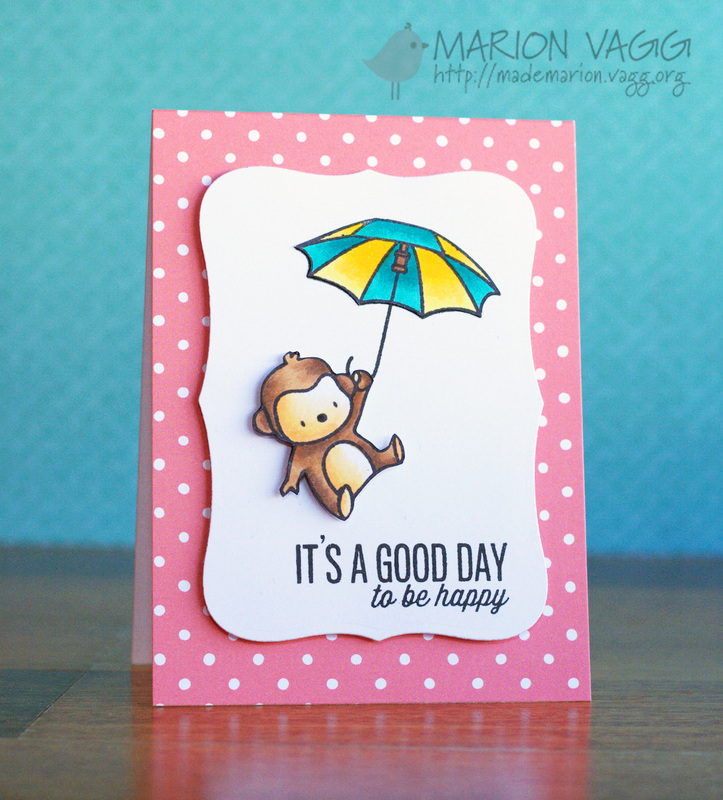 With the new school year just beginning here, there are so many things that have needed to take precedence! 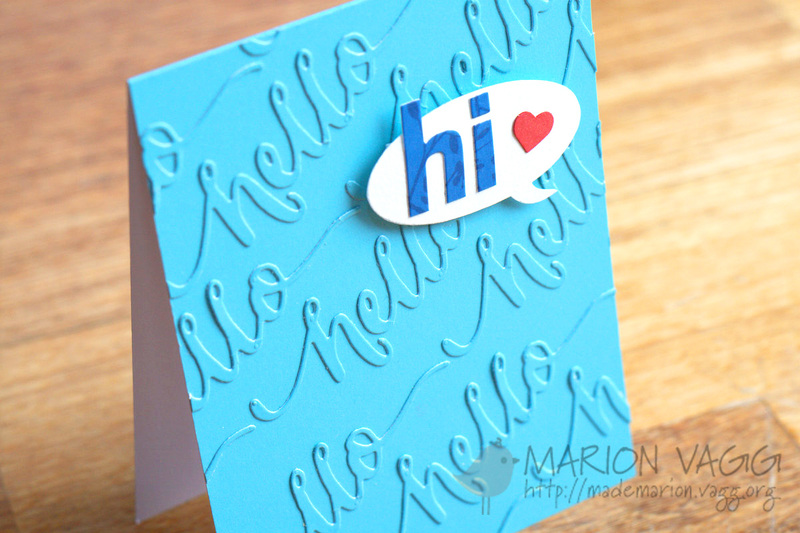 I really loved the faux embossing technique that Yana showed on Day 4 – so I went with it. 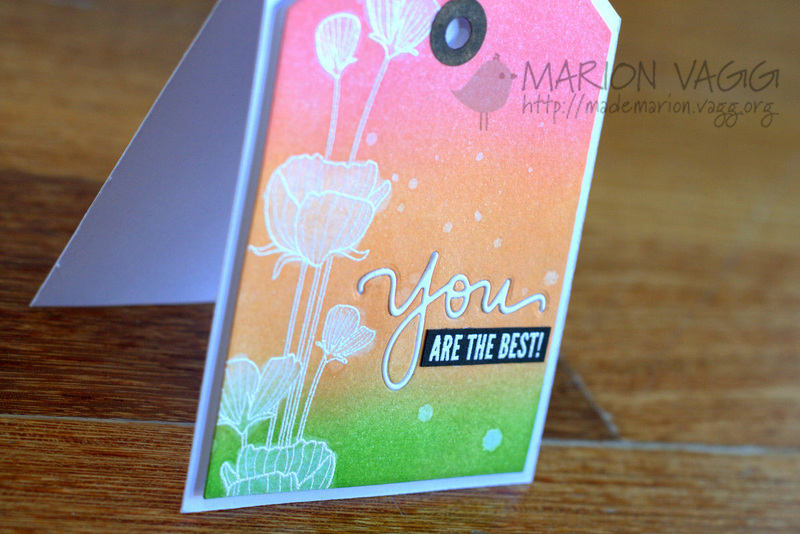 I have done a similar technique before, but not in the same colour as the card base – and I like the effect that it creates. 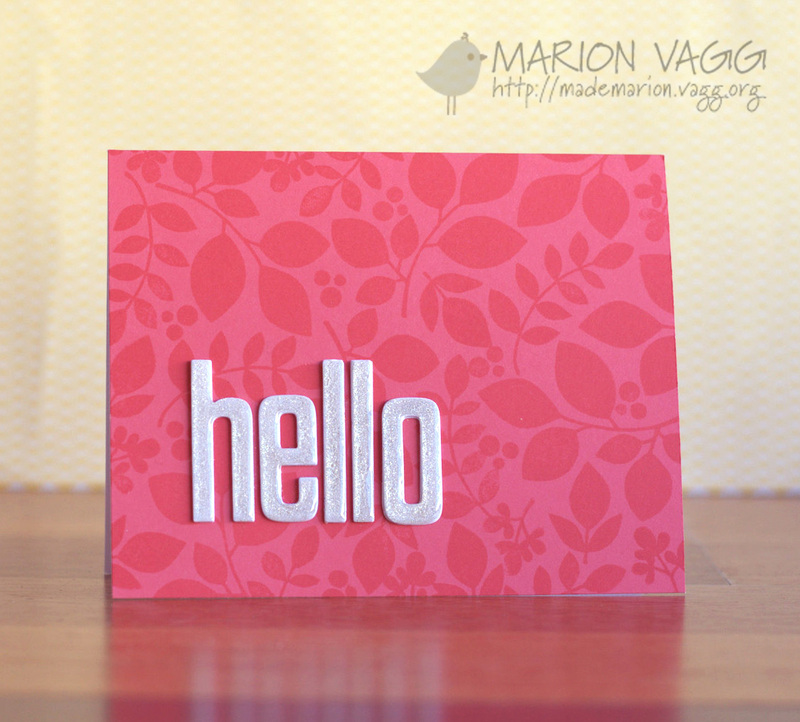 Other Supplies: WPlus 9 Hand lettered Hello die, My Favorite Things High Rise lowercase alphabet letter dies, Cuttlebug, X-Press-it double sided adhesive, Hero Arts White embossing powder, Heat tool, Zig Wink of Stella clear glitter brush pen, Foam dimensionals Martha Stewart Heart Punch. 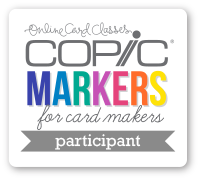 I thought I would share some more cards which I created a couple of weeks ago now, right at the beginning of the Online Card Class – Copics Markers for Card Makers. 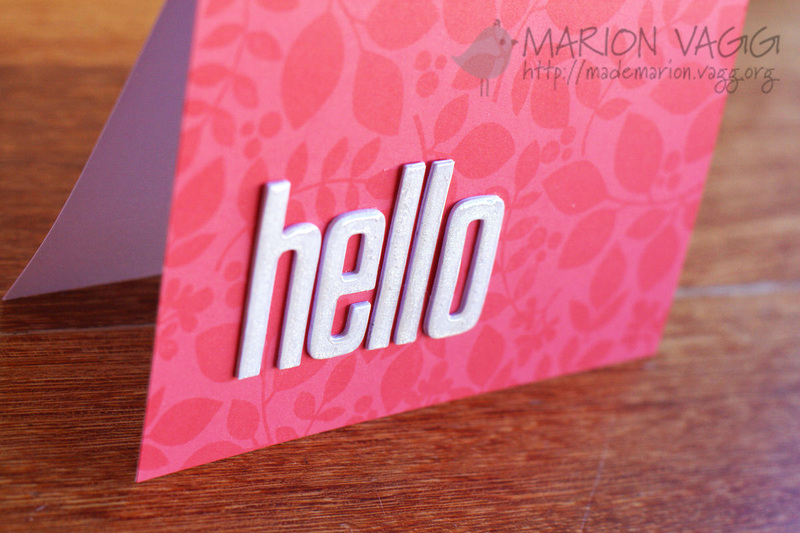 I get a bit slack with photographing and then posting on my blog. 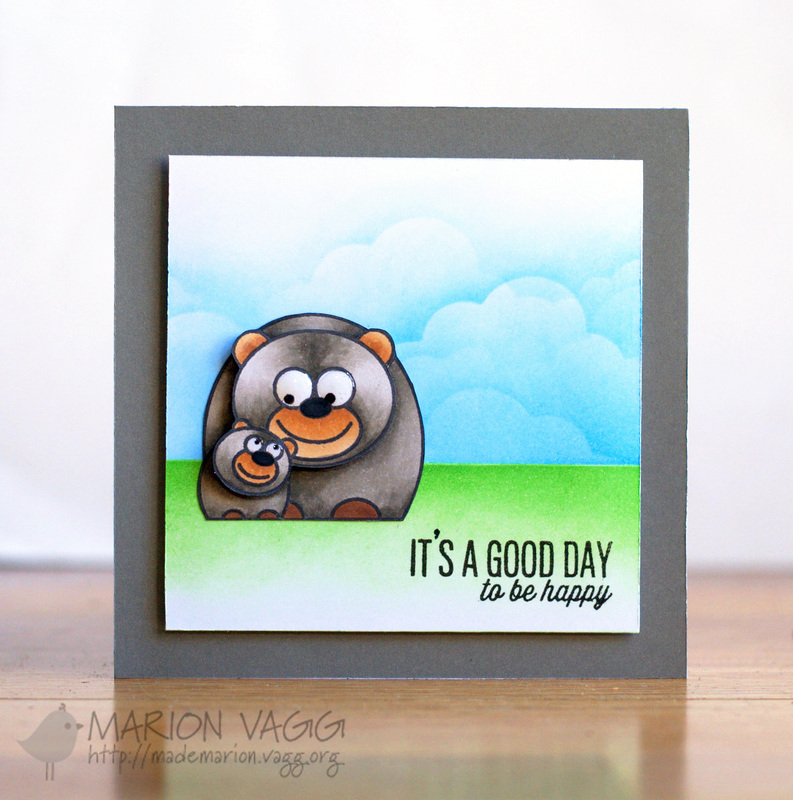 I’ve really been enjoying the stamp set Up and Away by Mama Elephant. This has been a great set to keep on practising those Copic skills. I like these images as they are not too big as I get a little overwhelmed when I have to colour in large images with Copics. The first one is my favourite. 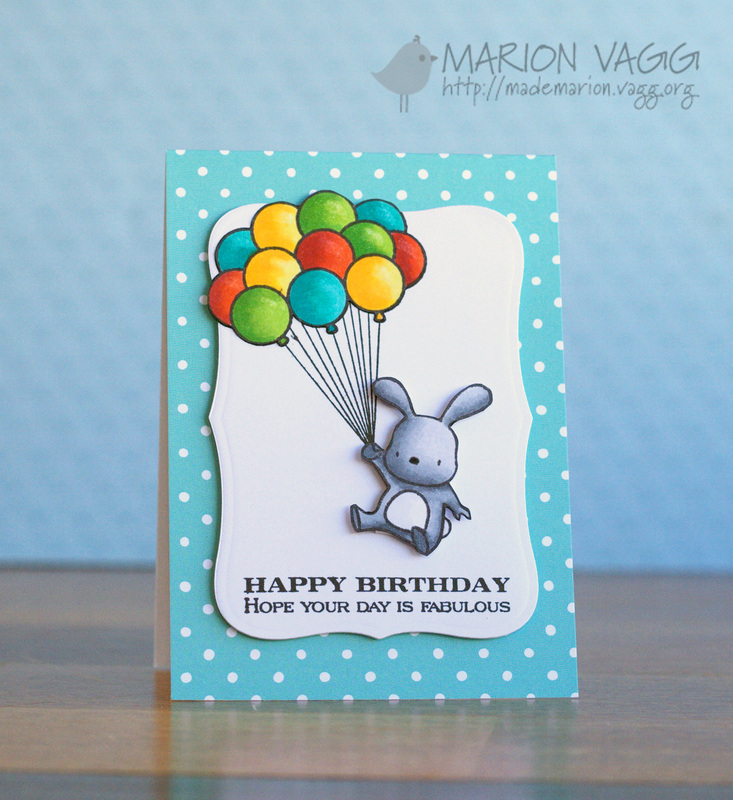 I like the shading on the bunny and those balloons were fun. I tried blending into white on the bear’s face and tummy using the colourless blender. Each of the animals are popped up on foam dimensionals to add some interest. I actually made 6 of these as gave them as a set to my sister for her birthday last week. 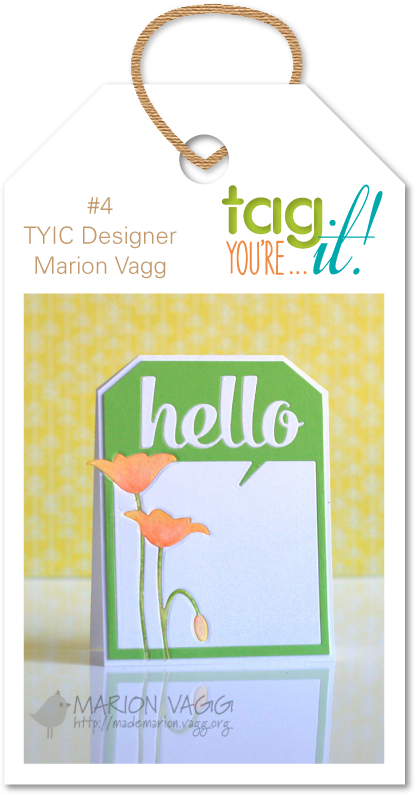 I will be making more of these in the future as they are so much fun to make! Hi there. 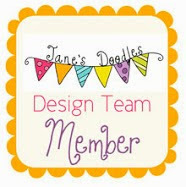 I have been taking the Online Card Class – Copics Markers for Card Makers and have really been enjoying learning new ways of using my Copics. I don’t have a ton of Copics, but I am trying to get more mileage out of what I have. 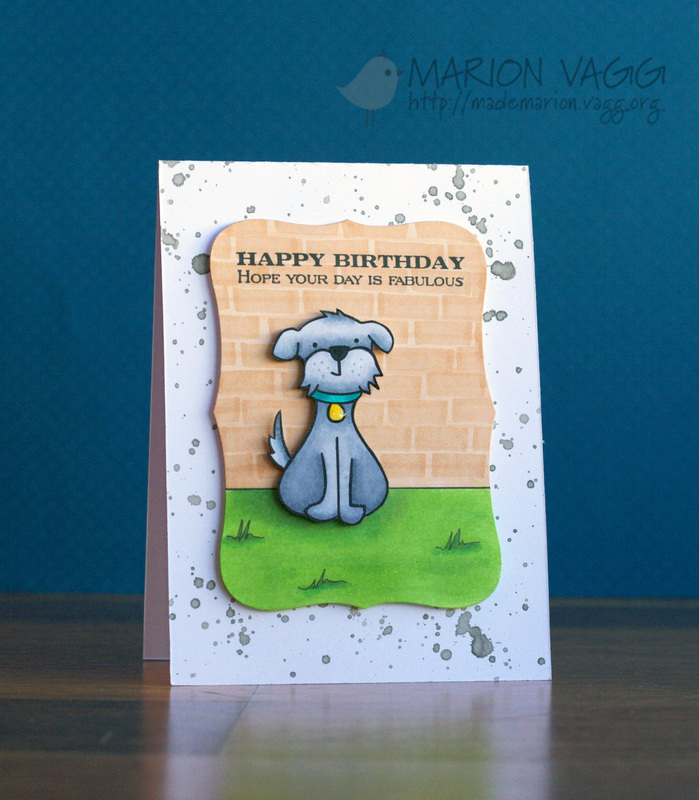 For this card I was playing around with creating a brick background as taught by Sandy Allnock on Day 9. 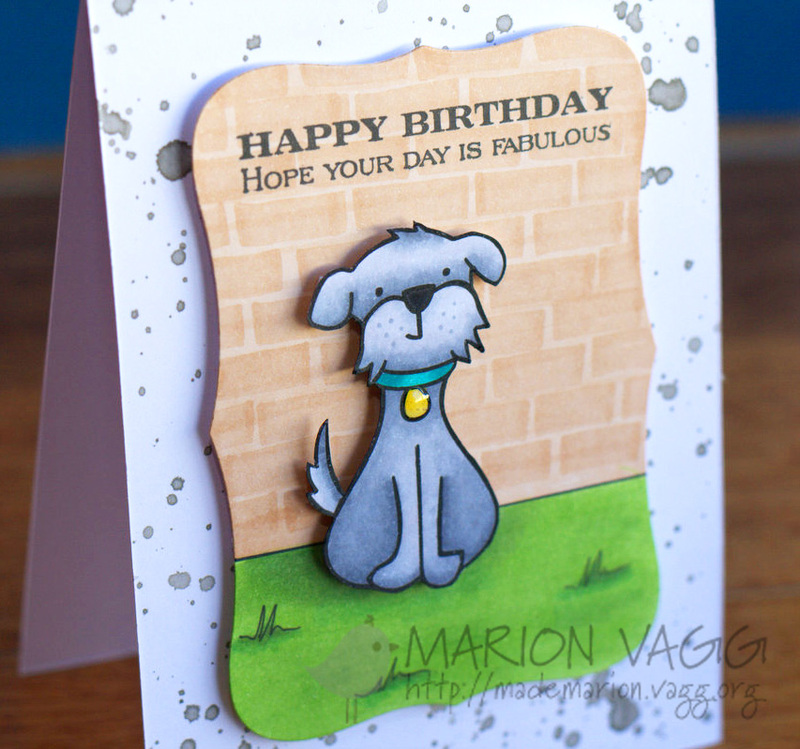 I was going to mount the doggie panel onto a white card panel, but it looked too plain so I went to town with Pumice Stone distress ink mixed with water and had some paintbrush flicking fun! 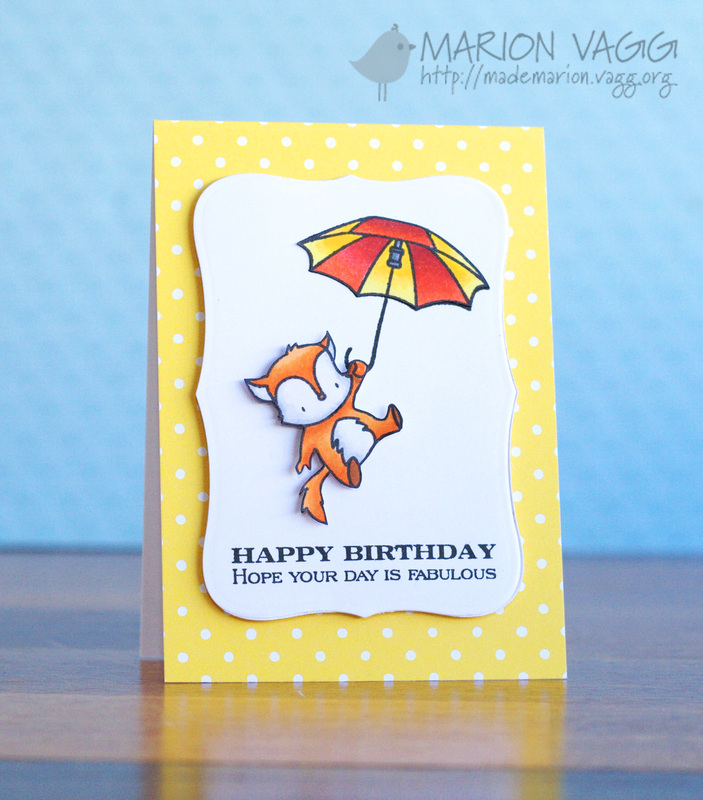 I think it adds to the whimsical look of the card. Well I am off to keep practising with my Copics.